French rabbi; lived in the first half of the thirteenth century. He was the pupil of R. Solomon of Montpellier, and was one of the rabbis of Provence who condemned the philosophical works of Maimonides and the study of philosophy. 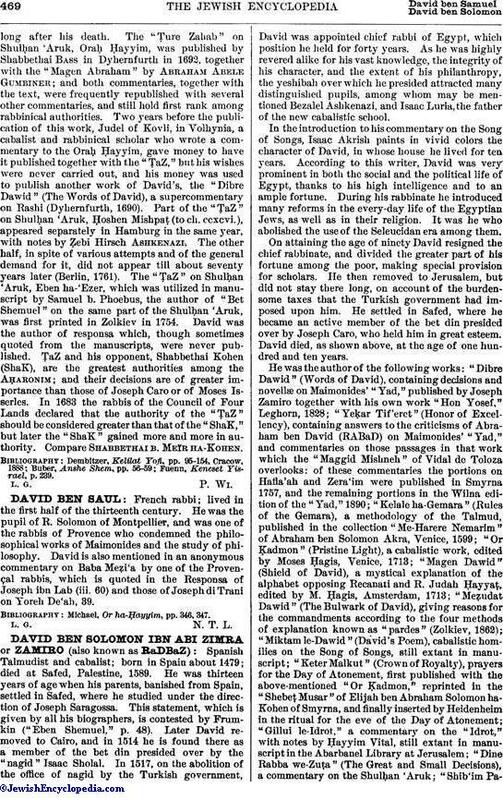 David is also mentioned in an anonymous commentary on Baba Meẓi'a by one of the Provençal rabbis, which is quoted in the Responsa of Joseph ibn Lab (iii. 60) and those of Joseph di Trani on Yoreh De'ah, 39. Michael, Or ha-Ḥayyim, pp. 346, 347.